Product prices and availability are accurate as of 2019-04-19 03:31:23 UTC and are subject to change. Any price and availability information displayed on http://www.amazon.com/ at the time of purchase will apply to the purchase of this product. A revolution in working with difficult students began during the 1980s, with a dramatic shift away from dependence on simply punishing bad behavior to reinforcing desired, positive behaviors of children in the classroom. 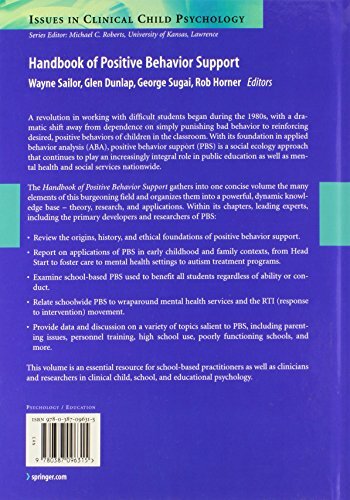 With its foundation in applied behavior analysis (ABA), positive behavior support (PBS) is a social ecology approach that continues to play an increasingly integral role in public education as well as mental health and social services nationwide. 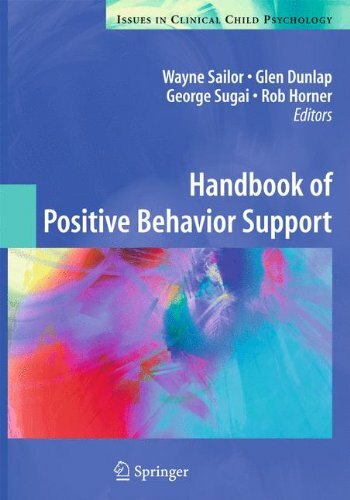 The Handbook of Positive Behavior Support gathers into one concise volume the many elements of this burgeoning field and organizes them into a powerful, dynamic knowledge base – theory, research, and applications. 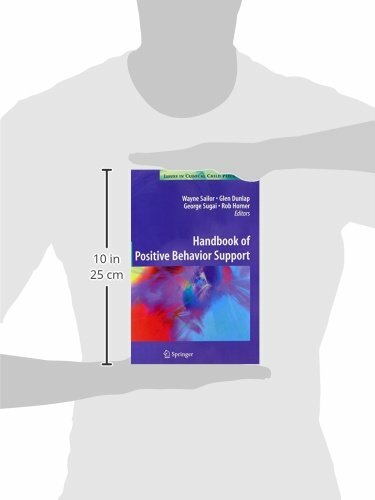 Within its chapters, leading experts, including the primary developers and researchers of PBS: (1) Review the origins, history, and ethical foundations of positive behavior support. (2) Report on applications of PBS in early childhood and family contexts, from Head Start to foster care to mental health settings to autism treatment programs. (3) Examine school-based PBS used to benefit all students regardless of ability or conduct. (4) Relate schoolwide PBS to wraparound mental health services and the RTI (response to intervention) movement. (5) Provide data and discussion on a variety of topics salient to PBS, including parenting issues, personnel training, high school use, poorly functioning schools, and more. 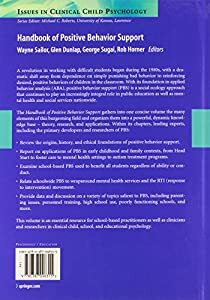 This volume is an essential resource for school-based practitioners as well as clinicians and researchers in clinical child, school, and educational psychology.